STORY & CLARK CONSOLE UPRIGHT- SOLD! The cabinet on this little gem is in excellent condition. The serial number indicates a year of manufacture of 1964. The piano seems to hold tune fine. Keytops are all fine. The piano works! 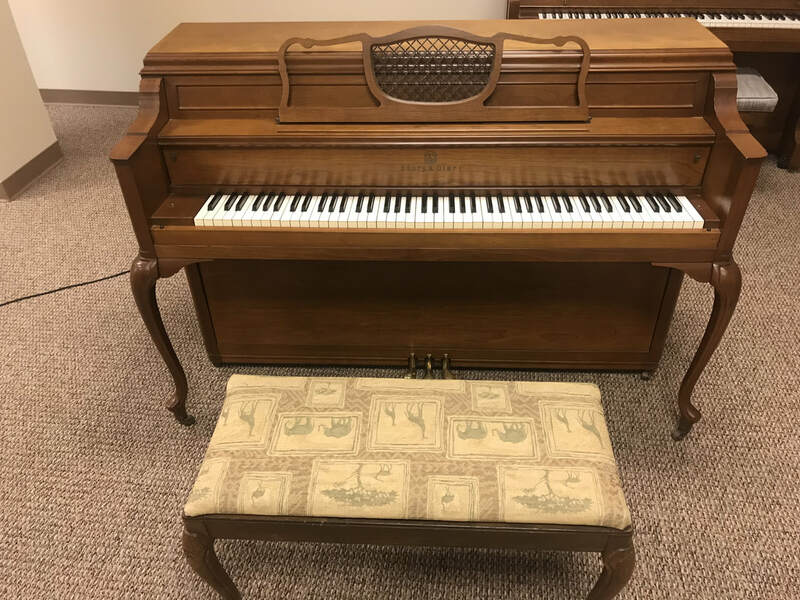 A good starter piano for someone. Come in and give it a try! Comes with the bench you see.